This charming beach home is the perfect setting for a family gathering. Just 2 short blocks to the ocean. Near ice cream, burger shop, beach store & pub all within walking distance. Or rent a golf cart to make trips around the area fun and easy! 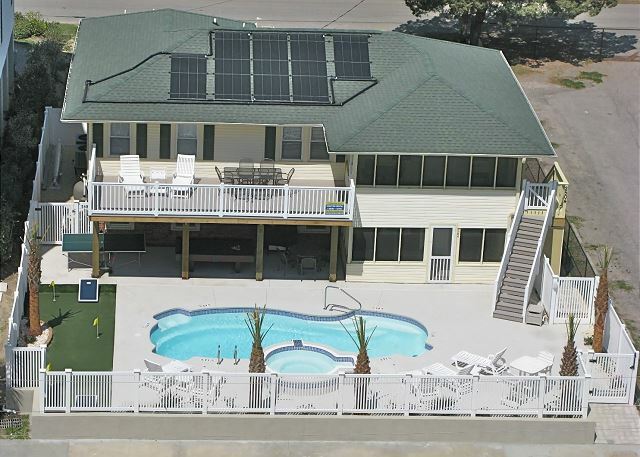 This 2-story beach home offers 5000 ft. comfortably sleeps up to 24 people. Large yard, with a high private fence, outdoor seating & dining area. Plus a POOL with lounge area and 2 charcoal grills. Perfect place to make a great family memory! Close enough to the action with the privacy & quiet of your own home. 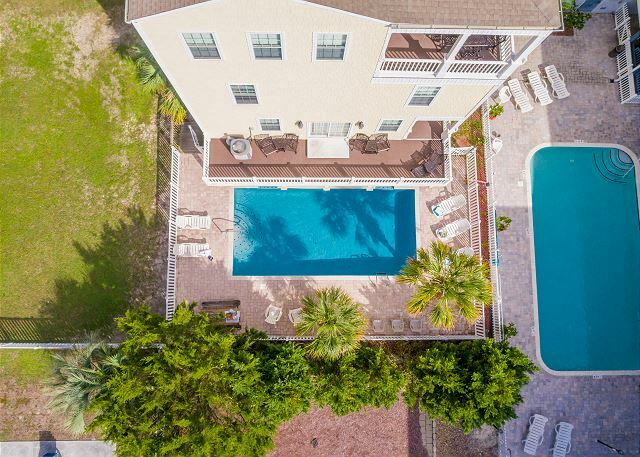 This two story house is located just three blocks from the sun & fun of the beach. A golf cart is included with the rental! Covered patio out back for grilling at home!! Private home, perfect for a large family gathering or sharing with friends. 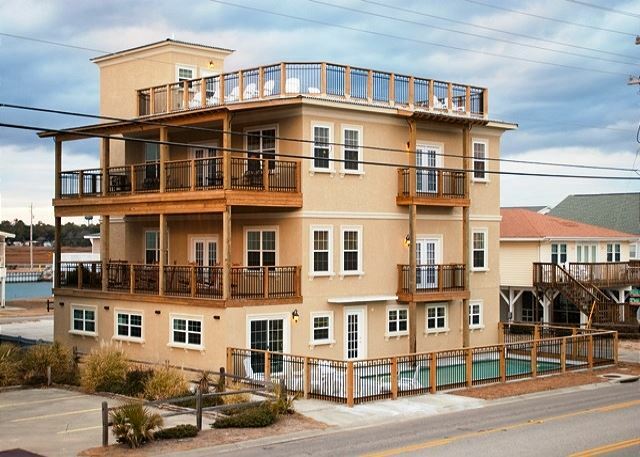 Sleeps 19 in 7 bedrooms! If using the Family room Daybed will sleep 20! 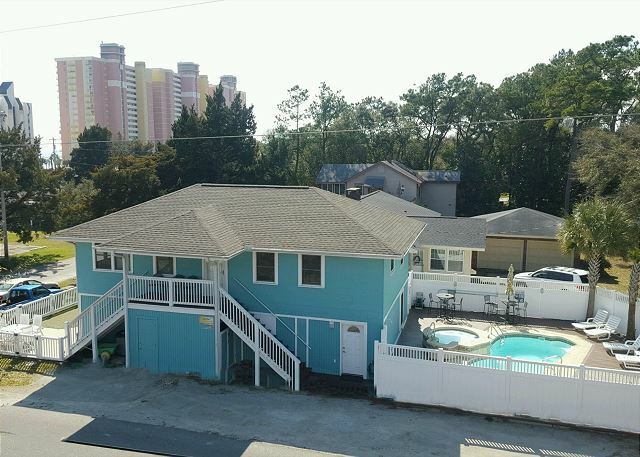 Located on Ocean Boulevard, directly across the street from the beach access. With a Pool! The "Sunrise" side of the Duplex has it all! 6 bedrooms and 7 bathrooms. Sleeps up to 22 people. Fully stocked kitchen with double appliances - 2 fridges, 2 ovens, 2 dishwashers! 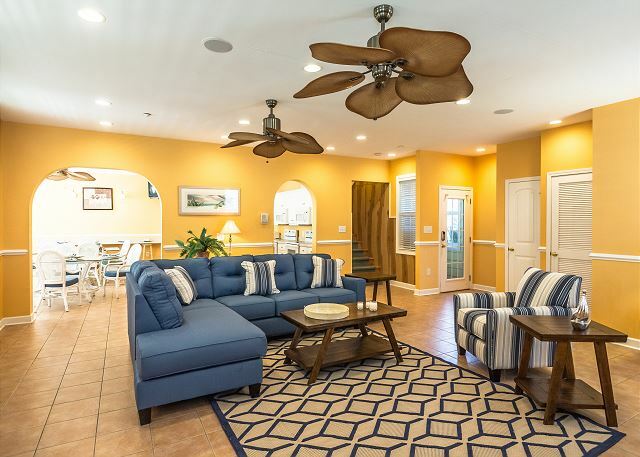 Game room, Pool, Hot Tub & MORE! Quick walk to the beach or rent a golf cart!